January and February are my least favourite months of the year as I just can’t deal with the cold. During these months I love to be at home and decorating the house for spring. I like to change our fireplace mantel for Valentine’s Day first, and then later add pastel colours everywhere for Easter. In my home, spring starts as soon as you can find the first bunch of daffodils in the supermarket. It’s then time to prepare the house for the best season of the year; when flowers blossom everywhere and you know summer is just around the corner. So yellow is definitely THE spring colour and I love to lighten up the darkness of these months. 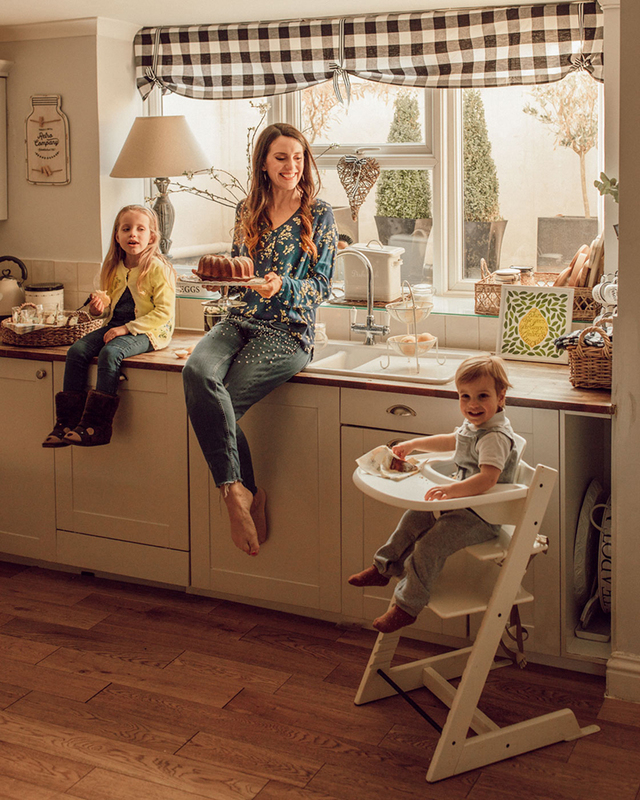 This year, my love for decorating with yellow was helped a great deal by my forever favourite Laura Ashley and their newest fashion collection. Due to my laziness (I admit it) we spend a lot of cold afternoons at home. 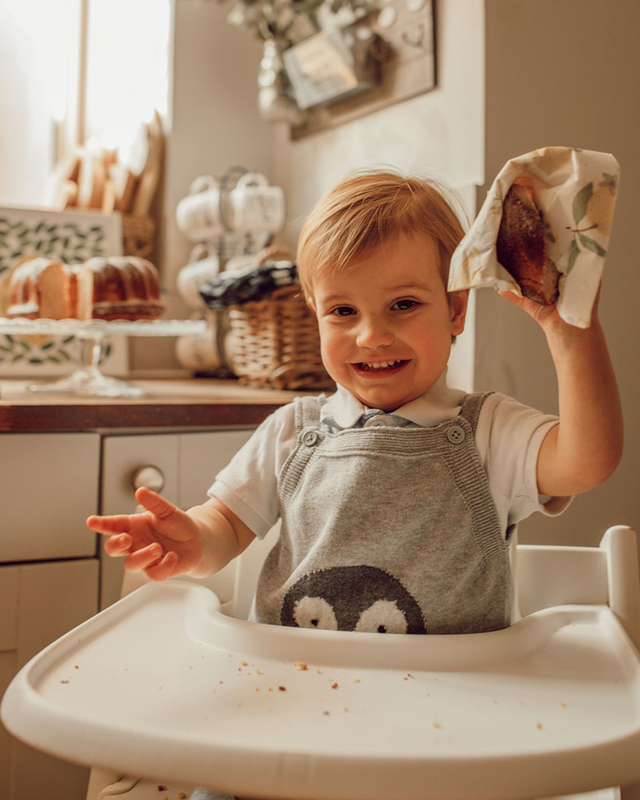 Baking a cake with the kids is always the best solution to keep them busy for a little while. Everyone has fun and we get some yummy treats too, totally a winning situation! 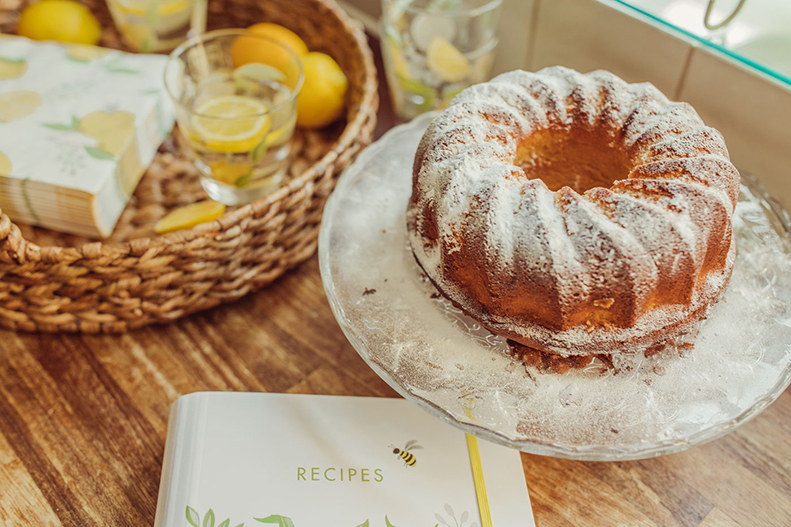 I wanted to try to make a lemon cake for a while now, as I really love them, so I’ve put the kids to work and we baked a delicious Lemon Bundt Cake. Beat the butter and the sugar with an electric mixer in a large bowl until light and fluffy. Add the eggs one by one, alternating with flour, blend very well before adding the next egg. Add the lemon juice and zest into the flour mixture and blend with a spatula until all the batter is smoothly combined. Put the batter into the cake mold. Bake for about 45 to 55 minutes. 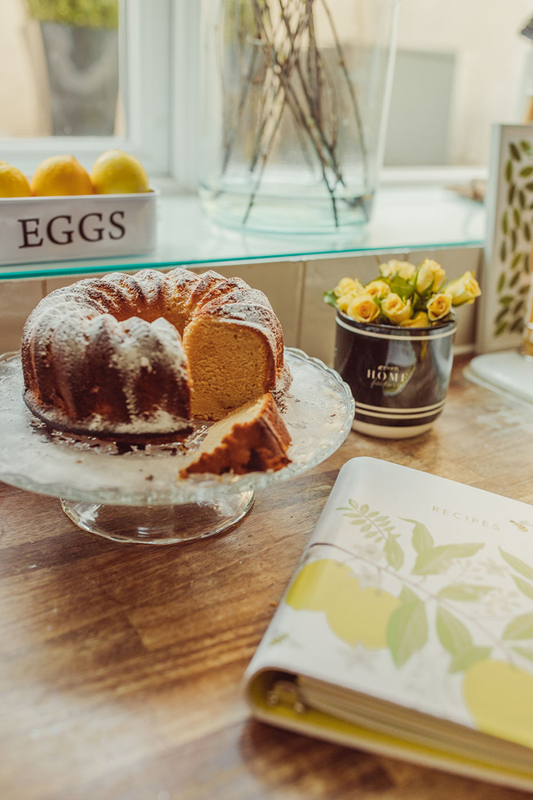 Enjoy your lemon bundt cake with a cup of English Breakfast tea. 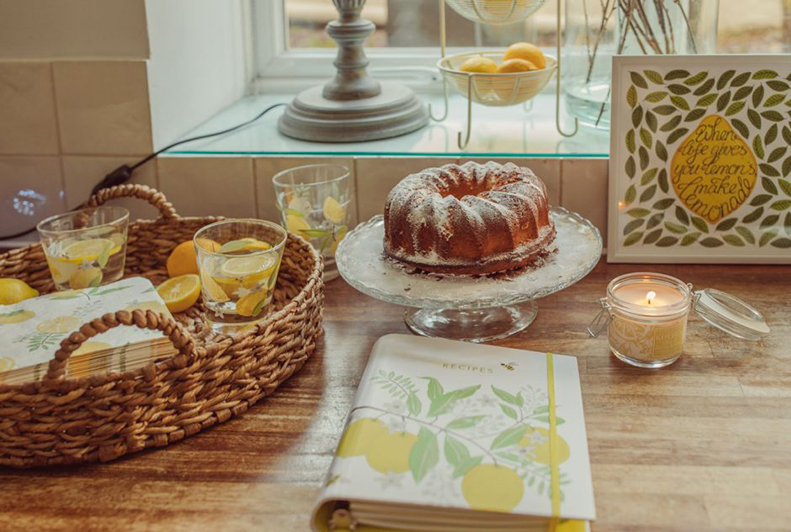 This entry was posted in Favourite Posts, Make & Do and tagged baking, Blogger, bundt cake, bundt cake recipe, cake recipe, easy recipe, guest blogger, in the kitchen, kitchen, lemon bundt cake, mom, mom blogger, mom life, navy, recipe, spring, spring outfit, spring style, women's fashion, womens style, yellow. Bookmark the permalink.